Whether we are talking an air conditioner or a refrigerator or a freezer, the basics of how they work are essentially the same. 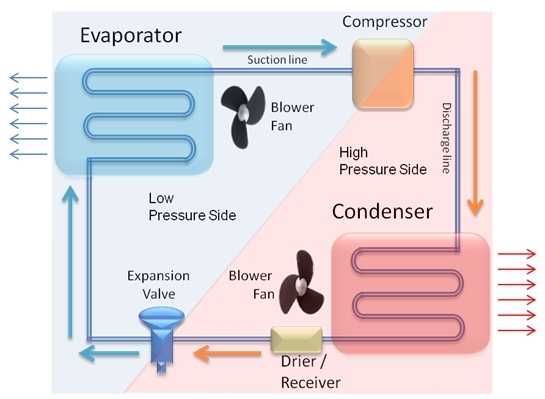 This is called the refrigeration cycle. bahi koi asi b app hay ji may mucamal cycle btara gaya ho . refiregetion ki desaning karnay k lay . jas ek cooling box k liya kitna camparsser . kitni capry .or kitna cadenser lagay ga ?